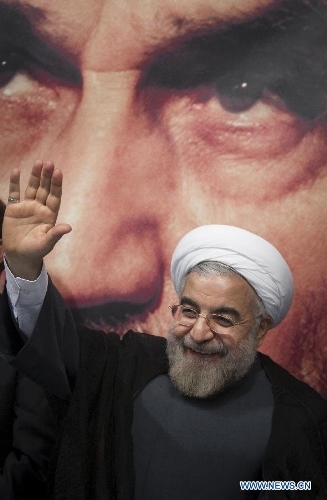 to the ‘reformist movement’ candidate Hassan Rouhani. Since today, the 15th of June he has been elected as the new Iranian president. He managed within just a few weeks to knock out the favourites of Khamenei (i.e. a number of fundamentalists, as they call them). In the end of the day it’s all a farce of course, for the Taghoot Kafir and enemy of the Muslims and Islam, Khamenei, is the SUPREME leader of the country, and the president is some sort of puppet that they carry around the world to show that there are democratic election in Iran, for in real, Khamenei controls everyone, including the president. The new elected president of the so called Islamic Republic of Iran, Hassan Rouhani (a quite dodgy person, we’ll get to that later on, Insha’Allah), or anyone else for that matter (all of them are approved by Khamenei beforehand) are only there to validate the existence of the Mullah ruled Iranian regime. 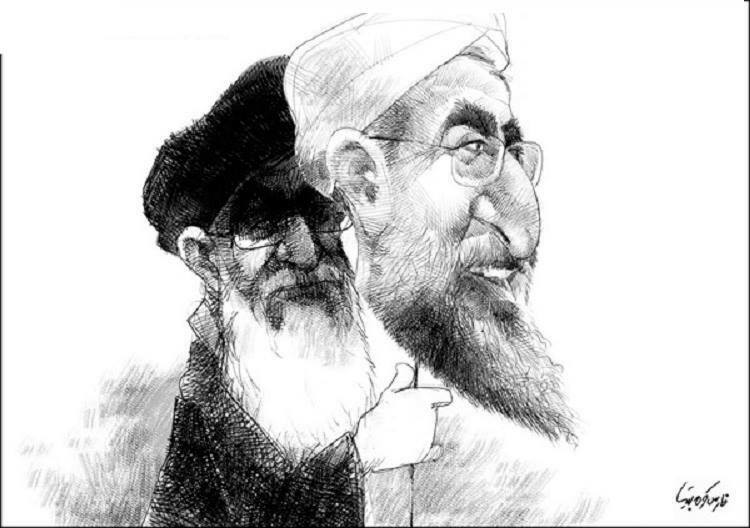 Faced with the current dilemma, Khamenei was forced to “pick his poison” in deciding whether to share power with Rafsanjani and thus accept growing opposition within the regime and risk being seen as weak, or making a surgery and purge and risking the threat of radicalizing the opposition. Both present very serious challenges to his survival. The showdown may amount to political suicide for him, but more importantly may mark the beginning of the disintegration of the Iranian regime as a whole. Similar infighting in 2009 resulted in candidates openly exposing each other’s crimes, and harshly condemning the past and present failures of the leadership, a spectacle which opened up a crucial window in which 30 years of grievances were aired by the public. The split in the leadership was utilized by the populations to voice their discontent with the regime as a whole, with the chants of “down with the Supreme Leader” becoming a rallying cry. 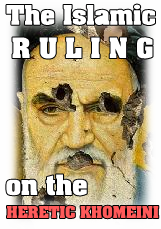 The once sacred post of the Supreme Leader has yet to recover from the de-legitimization of 2009, and Khamenei has continued to lose confidence by those desperate to keep the regime alive. The present situation has once again validated the opinion of the people that elections in Iran are a meaningless farce, and that the overthrow of the regime remains the only viable alternative. The propaganda on Iranian State TV calling Iranians to go to the polling stations and vote on Friday is almost non-stop. Patriotic music, although any mention of Iranian nationalism is normally frowned upon as a non-Islamic thing, is unashamedly played throughout the election campaigns. Hundreds of “passers by” are interviewed both inside and outside Iran by state TV, all without exception say its everyone’s patriotic duty to take part in the elections and “honour the martyrs of the revolution and the war with Iraq by voting”. State TV seems unable to find even one Iranian citizen who has decided to boycot this election farce. Mashad’s Friday Prayer leader, Ayatollah Alamolhoda, told the faithful during his sermon last Friday, that “those who do not vote on the election day will definitely go to hell”. Tehran’s Friday leader, the ghastly reactionary Ayatollah Ahamd Khatami also told his sermon goers that “under no circumstances should they stay at home on the election day” and he predicted that “with the help of God, we will witness a maximum participation by the people”. The most blatant confession that the regime is not that concerned about the vote count but is most keen on showing off pictures of long queues to the outside world. Ayatollah’: “Disobeying the Wali Faqih (Taghoot Khamenei) equals Shirk! And lastly, here another Safavid of the Iranian regime who appeared on the state TV days ago arguing Iranians to vote on election day, so that Islamic Republic will remain a role model for other nations and they will wish they had an Islamic Republic too. He literally claims that the Iranian regime – that is hated so much in the recent year due to their crimes in Syria and interference in Sunni Muslim countries – is beloved and a role model for the Islamic Ummah. How delirious THEY ARE>>>. His academic credentials have become subject of questions as it was said in his campaign film that he had studied in Caledonian in 1970s, several years before formal establishment of this university (with the merger of Glasgow Polytechnic and The Queen’s College, Glasgow in 1993), and his degrees ultimately awarded under the name “Hassan Feridon”, purportedly his family name before it was changed to Rouhani (Persian روحانی‎, which means “cleric”) with the 1979 Islamic Revolution. A Glasgow Caledonian spokesman has stated the university was checking Mr Rouhani’s credentials but could not confirm them so far. Rouhani married Naemeh Rouhan in 1969. The couple have two boys and two daughters. His first son, Hossein committed suicide in April 1992 and was buried in Behesht-e Zahra. Another four years (minimum) with a Shia Mullah, the most hated being since the Syrian Revolution, not just inside but also outside Iran, as we KNOW>>>.